This is a very big update, so please try things out on a test site first. Feel free to post bug reports here or in the main Shiba Gallery article. The biggest addition to this release is client responsive galleries. In release 4.0 we added server responsiveness which makes sure that the server sends the right sized images based on device width. In particular, we do not want to send a large desktop image to a smaller iPhone and vice versa. In this release we add client responsiveness. This allows galleries to adjust their width according to browser resize events. This means that when we resize our browser window, or rotate our iPhone screen, our galleries will automatically resize based on the current browser width. More on server and client gallery responsiveness. 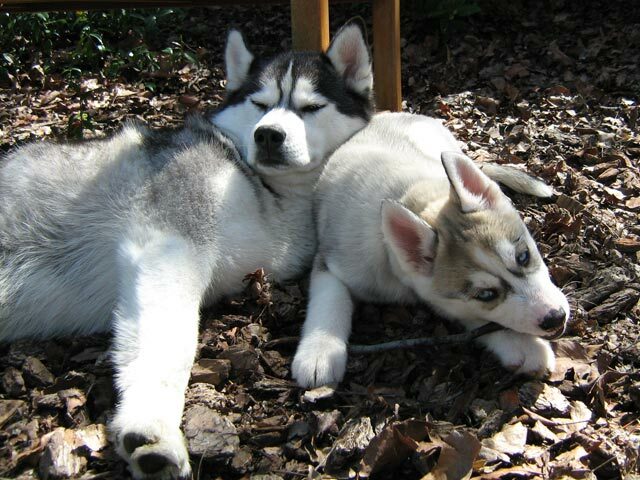 Big Husky and Little Husky. 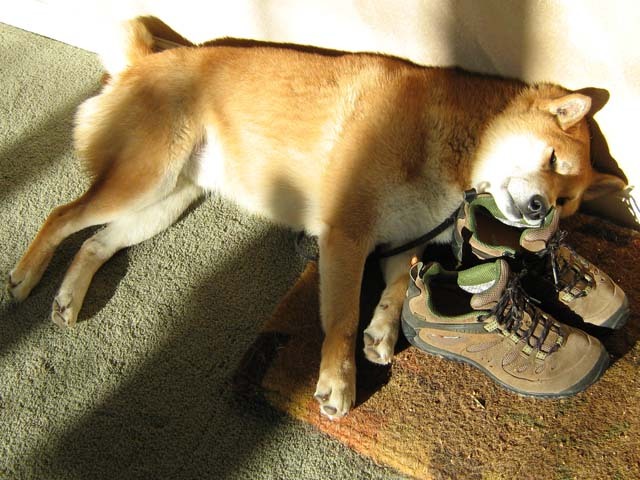 Shiba Inu and his shoe pillow. 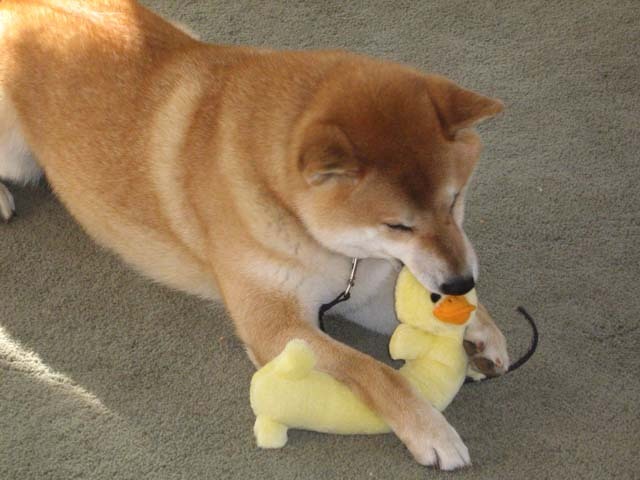 Shiba Inu and duck toy. Shiba and Husky playing in the grass. 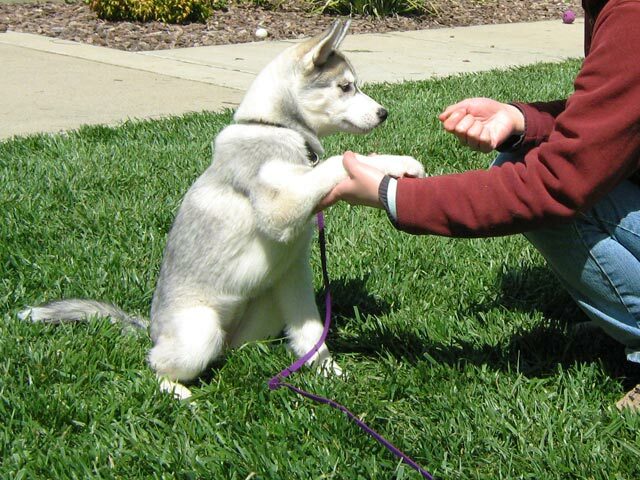 Husky puppy on the green, green, grass of home. 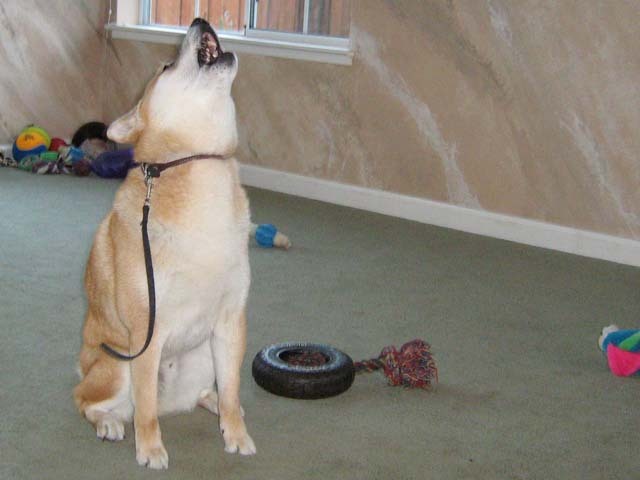 Shiba Inu singing for his supper. 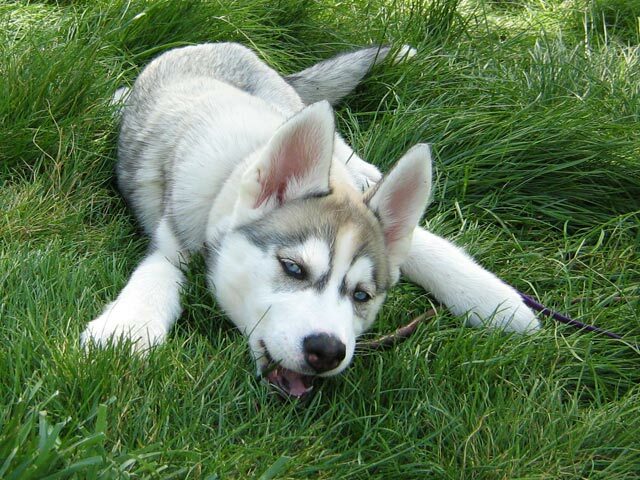 Husky puppy playing with a stick. Example noobslide gallery with client responsiveness turned on. width – Automatically resize the width of our gallery while its height remains the same. aspect – Automatically resize the width of our gallery while maintaining its aspect ratio. I.e., the height changes as well proportionally to the change in width. Example tiny2 gallery with client responsiveness set to width. Based on user requests, the link attribute has been expanded to include slimbox and lytebox. This means that when a link or image is clicked, we can open slimbox or lytebox and keep our user on the same page. The above two galleries for example, have link set to slimbox. crop – [1 or 0]. 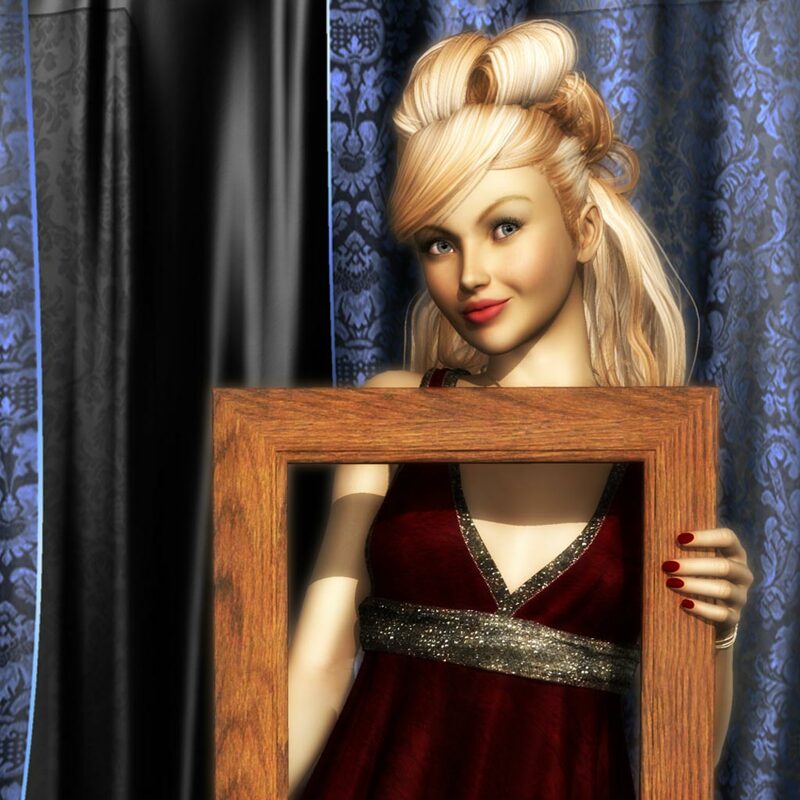 Allows gallery images to be cropped on one dimension. active – [1 or 0]. Determines whether images within the gallery are link active or not. Clicking on an active gallery image is the same as clicking on the image title link. Our actual destination is set through the link shortcode attribute. cpos – [bottom, top, left, right]. Sets the gallery caption position to the bottom, top, left, or right. We can now create a slimbox gallery using all the captioned images within a post. All captioned images will be grouped together in its own slimbox gallery. Gallery images and non-captioned images will not be included. 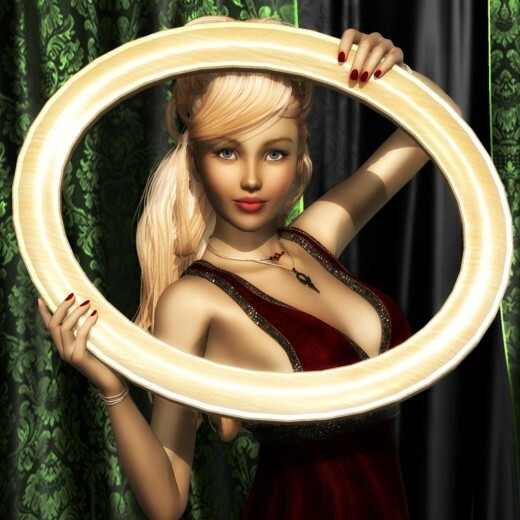 We enable this blog-wide by going into Media >> Shiba Gallery and clicking on the ‘Make post gallery’ checkbox. For example, clicking on the image below will bring up a lightbox gallery of all the images on this page. The Media >> Shiba Gallery settings page has been given a major face-lift. Controls are now presented using styled metaboxes. More default gallery attributes have been added. We have also updated galleries to work on the new jquery library included with WordPress 3.6. Plugin tested on WordPress 3.6 and WordPress 3.5. How to Get Shiba Gallery. Hi, i’m wondering if its possible to set the main image area in the tiny2 gallery (with thumbs) to an automatic height based on the image? My gallery has multiple vertical and horizontal images, so when the horizontal ones are up, there is a lot of space above and below that shows up. Yeah it should. It defaults to noobslide if it doesn’t recognize the gallery. Try setting the type to “tiny”, no quotes, no capitals, no spaces. Or I could have a look at your setup if you create a temporary account for me. 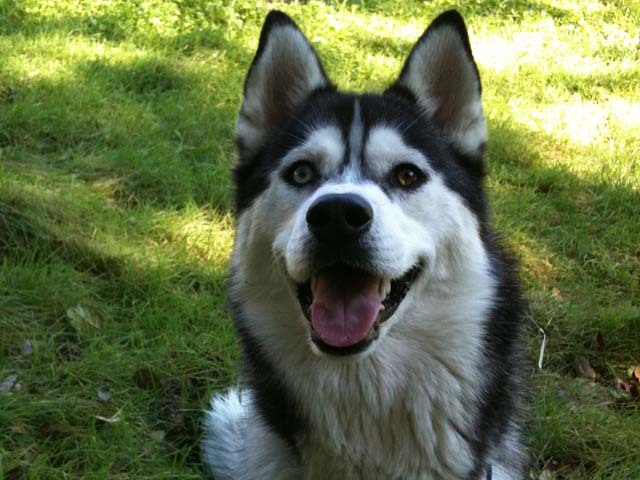 You can email me the info at http://shibashake.hubpages.com/#email. aaahh! Changing it to tiny did the trick! Hi. Thank you so much for this plugin, I love it! I wonder if you can help me please. I am using TinySlideshow (I do have a difficulty in finding out what galleries there are). The thumbnails are currently opaque and then clear when in the slider. However, I would like it the other way round, so they become opaque when IN the slider. This doesn’t seem to be controlled by a stylesheet and I’m not sure how to do it. It is controlled by CSS. If you use Chrome, you can just right click on the element and then choose “Inspect Element” to quickly get to the CSS being applied to it. Thanks for your reply. I added the .css to my genesis child theme and changed the opacity, but it does not over-ride the Shiba-Gallery .css, not even when I add !important. What CSS did you add? The CSS I posted is what is currently in the plugin. If you want to change the opacity values, then you will need to flip them accordingly. Is there an example page that I could look at? Thanks for your reply, which for some reason I didn’t show for me until now. Yes, I did flip the opacity values. As I mentioned in my orig post (or meant! ), the style doesn’t appear in the .css but I see it in the html. I use FireFox and FireBug to inspect. 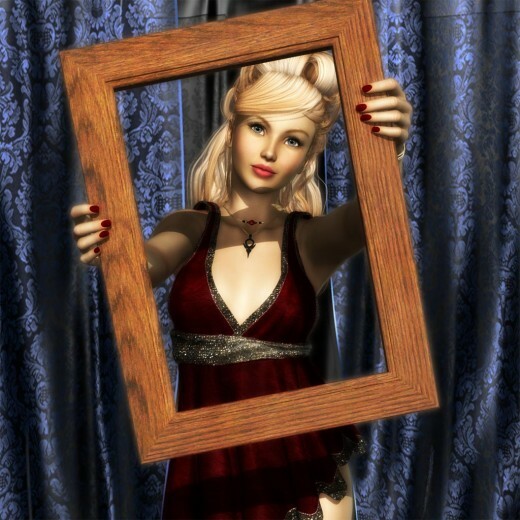 Tiny slideshow is activated by setting type=”tiny” in the gallery shortcode. Hi! I am having issues with my gallery on mobile devices. I am using a slimbox gallery and the images are not opening in a lightbox. When you click on a gallery image, it goes to the image file URL and you have to back out of that to get back to the gallery. Everything works like it should when viewed on my laptop. Mobile devices have very little screen real-estate, so opening a large lightbox window within it will not be very useful and will make it difficult to exit out of the slimbox pop-up. As a result, pop-ups are disabled by default for mobile devices. If you absolutely want to have it on, I can tell you which lines to comment out, but it is not something I would recommend. No… that makes sense. Thanks so much for your reply. I do love the gallery! Hello! First of all, I would like to say that I love the Shiba Gallery plugin. It’s great! I found no problems using it in Firefox, Chrome or Internet Explorer 9+, but I’m having troubles with Internet Explorer 8 and below. The thing is that I can see the first picture of the gallery, but when I want to see the rest of them, I can’t. When you click the thumbnails, it doesn’t happen anything. I had to test it in a Windows XP installation in a PC that is not mine, because I didn’t have the issue. This was reported to me by several visitors of the page in question, so I would like to know whether there could be a solution for this matter, or there is a workaround for this issue. What gallery type are you using? In the newer version of the plugin, I wanted to support both client and server side mobile responsiveness. This increased the complexity of the galleries, and I am no longer able to support the older Explorer versions. You could try using an older version of the plugin, if you do not need mobile responsive capabilities. Hi! Thanks for the quick reply, I really appreciate it. I’m using the gallery type “noobslide_7” with no links. I understand the choice of supporting client and server side mobile responsiveness because it’s the way the web is moving to. Unfortunately, many users still stick to older versions of Internet Explorer. There’s not so much to do about it, despite explaining to them the advantages of using newer versions (or better yet, other browsers). As you suggested, I will try an older version of the plugin to see how it goes. Is it possible to create multiple galleries on a page, each of which displays a single image, which when clicked, display a set of images in a (modal) lightbox window? Trying to create something similar to the widget in the middle of the page linked below, but with each block representing a gallery. The mouseover effect is a different issue, but stumped how to achieve this. Hello! One of my students alerted me to the fact that the lightbox function in this version of Shiba Gallery does not work in Safari unless there is a caption. She doesn’t want captions on the thumbnails – the settings are Slimbox, link is Slimbox and Active is checked. I’ve tried a variety of different settings but the images are not clickable in Safari unless there is a caption. Is this a bug? It works fine in Chrome with the settings above. Is there a combination of settings that I am missing? Any suggestions would be greatly appreciated. 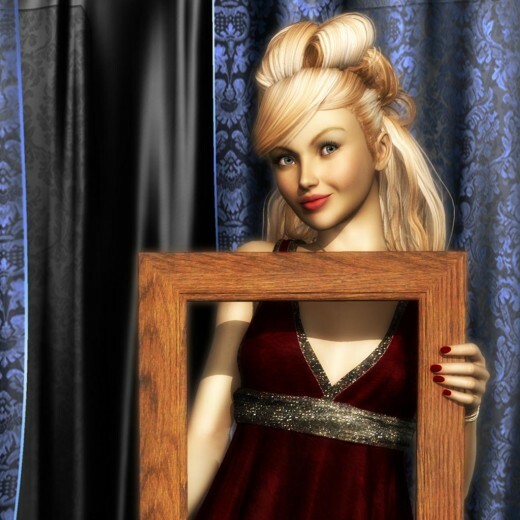 Many thanks – Shiba Gallery continues to be one of my favorite gallery plugins. I’ve been suggesting it to the artists in my classes for more than two years. You ROCK! Is this Safari on desktop or mobile? Thanks for reporting this Susan. Is the behavior the same with lightbox and lytebox? As a temporary measure, we can also turn on the captions and then set it to non-visible in CSS. I do testing on Explorer, Chrome, and Safari mobile, so there very well could be quirks on Safari desktop. I will look into it on my next round of plugin updates. I have lots of projects on my queue now though, so it will likely be a while before I return to WP programming. Yes, the behavior is the same with Lytebox and Lightbox. I couldn’t get it to work in Safari on my desktop. I spoke to my student who couldn’t get it to work on her desktop, iPhone or iPad. Sorry to hear you won’t be able to get to this soon – my students will be disappointed. Can you give me the CSS code you referred to above – and also tell me where it should go/what it replaces? This is beyond the scope of what my students are doing, but I would like to be able to give them the option if possible. Have you tested this version for compatibility with WP 3.8? 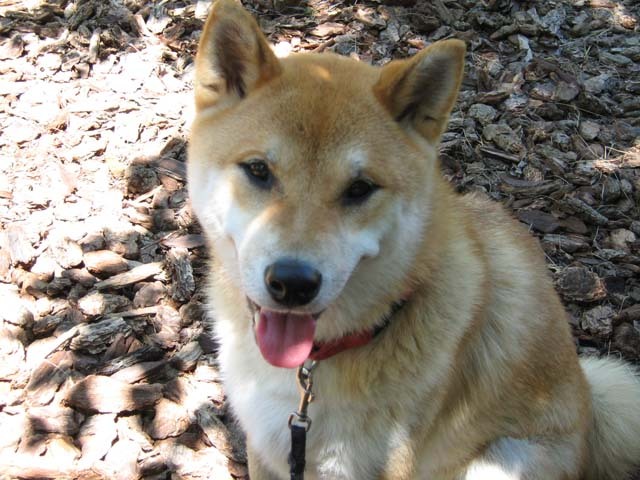 I love Shiba Gallery, long time fan… however I’m working on a site now with a pressing deadline on WP 3.8 and much to my dismay I installed Shiba Gallery 4.3.4, and only the first image shows in the display case. Clicking on any other thumbnail shows just blank space in the case. Please if you have any clue as to why this might be, do shoot me an email if you could. Thanks so much. Keep it up! All my sites are running 3.8 so my guess is that it is a theme or plugin conflict issue. awesome plugin man. I got a problem though. the lightbox works if i enable the captions ( on the caption text) but not on images. somehow it doesnt apply the js function to attach it to image. do you know what it might be? your shiba plugin is really great, use it since two years in my wordpress blog. now i changed to a different theme and this theme uses the “gallery” shortcode too for showing galleries in articles, pages etc. So when i use your plugin too the galleries will be shown twicein the article. is it possible somehow to change the shiba plugin behaviour to hear on e.g. “gallery-shiba” shortcode instead to show galleries with the shiba plugin instead of just with the “gallery” shortcode? May also need to add in some additional stuff from the beginning of the gallery_shortcode function (before the post_gallery filter). It could also be that your gallery is empty. If it is a test site, I can have a look at it if you create a temporary account for me. Let me know if you want to do this, and I will send you an email so that you can forward me the particulars. I deleted the latest version of the plugin and installed an earlier version and now it works fine if she uses lytebox instead of slimbox. The gallery was not empty. The error code I mentioned above was repeated for every image that was in the gallery. With the latest version I tried all of the different shortcodes and none of them worked. Let me reinstall the new version and then I will send you the particulars. Yes, send me an email with the info I need to do this.